St. Barth Properties was voted the Caribbean’s Best Villa Company by the readers of Caribbean Travel + Life in its annual poll. "When it comes to a home away from home, you know what you want: attentive service...uninterrupted privacy and good value. This St. Barts villa rental agency delivers on all fronts, finessing everything..."
St. Barth Properties (SBP), a boutique travel company specializing in villa rentals on the island of St. Bart was recently voted Caribbean’s Best Villa Company in an annual reader’s poll conducted by the popular travel publication Caribbean Travel + Life. 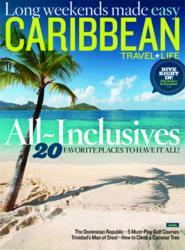 The magazine polled 17,000 readers, who are passionate and frequent vacationers in the Caribbean, on the best in a number of categories including hotels, restaurants and various suppliers. SBP was very pleased with the distinction, particularly since attentive services to clients was noted and sent out a thank you to all their clients. In addition to representing a portfolio of over 160 private villas the company offers a full range of concierge services that includes car rental, villa provisioning, restaurant reservations, spa appointments chef services and excursions.